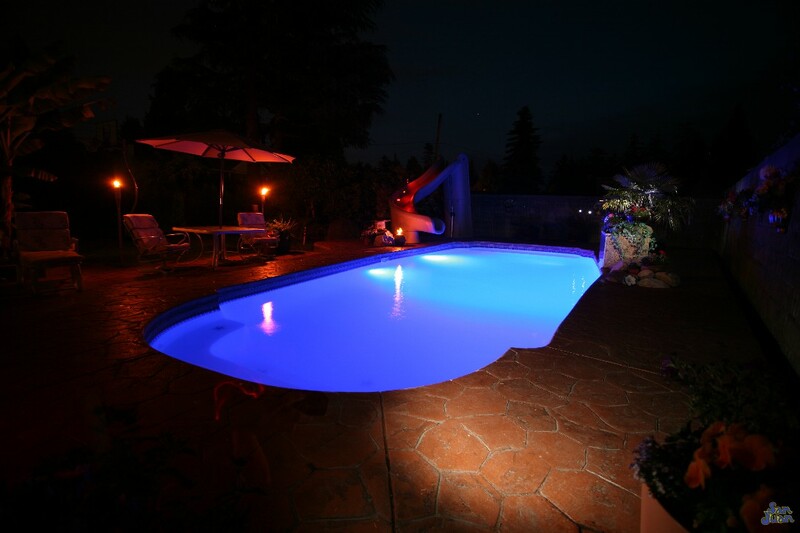 The Savannah Deep is an elegant fiberglass swimming pool. It sports an 8′ deep end and an overall length of 32′ 6″. For deep end divers, the Savannah Deep is perfect! It gets deep very quickly and provides ample space for water games. Grab your snorkel mask and dive fins, the Savannah Deep is a deep end swimming pool with a huge amount of space! The Savannah Deep is as beautiful as it is playful. Don’t be fooled by the serene image shown above. This swimming pool quickly gives way from its shallow end section to provide a deep end playground for swimmers. 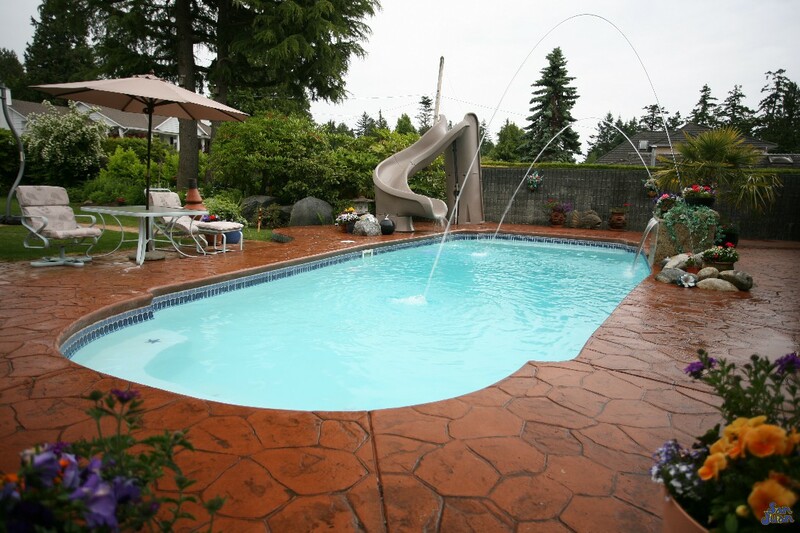 We recommend this swimming pool for advanced swimmers and suggest pairing it with a ANSI certified diving board, slide or other water game. You’ll love the 8′ deep end of the Savannah Deep as well as the opportunity it presents for athletic activities in your own backyard. If you find yourself in need of a rest, the Savannah Deep offers a convenient deep end swim out bench. This seated section is located along the opposite wall of the shallow end steps. It’s a great space for swimmers to catch their breath and prepare for the next round of deep end diving. Aside from a rest area, the deep end bench is also a great space for parents to provide swim lessons for developing swimmers. It also operates as another means of entering and exiting the Savannah Deep which enhances its safety. Don’t been fooled by the calm waters of the Savannah Deep. This swimming pool is designed to transition from its shallow waters to its 8′ deep end very quickly. After taking your first few steps into the shallow end, the Savannah Deep has a deep dive into open waters. By design, we’ve compacted the Savannah Deep into a 32′ 6″ length. Therefore, the Savannah Deep can offer an excellent space for aerobic lap swimming. It also means that your swimmers can return to the shallow end for relaxation and conversing with friends and family. Entering from the shallow end, you’re sure to note the curved shallow end steps & bench. This is a great space for mingling with friends, relaxing and basking in the sun or entering / exiting the Savannah Deep. It’s also another great area for swim lessons for parents who are DIY personalities. 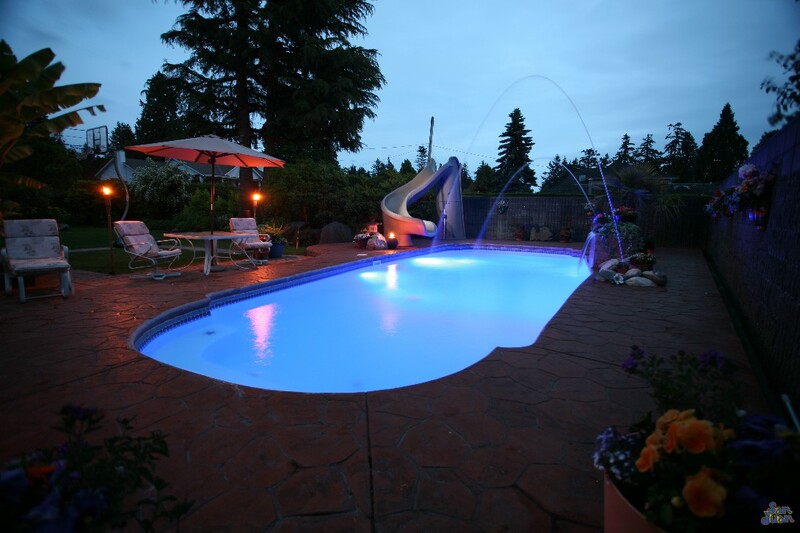 In conclusion, the Savannah Deep is a sophisticated rectangular pool with a huge 8′ deep end. 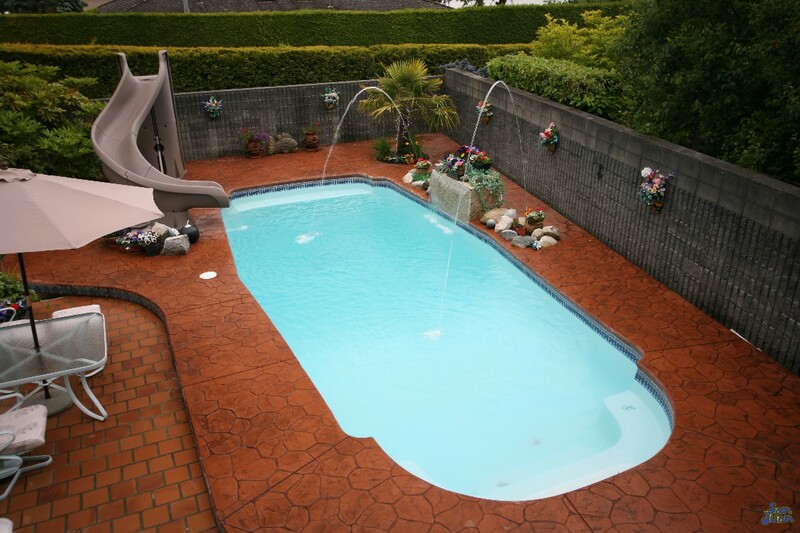 This fiberglass pool quickly gives way from its shallow waters to a deep basin due to its 32′ 6″ design. You’ll love the traditional layout of the Savannah Deep including its standard hopper and convenient bench seating. This pool is recommended for advanced swimmers and provides ample space for aerobic activity and deep end games. 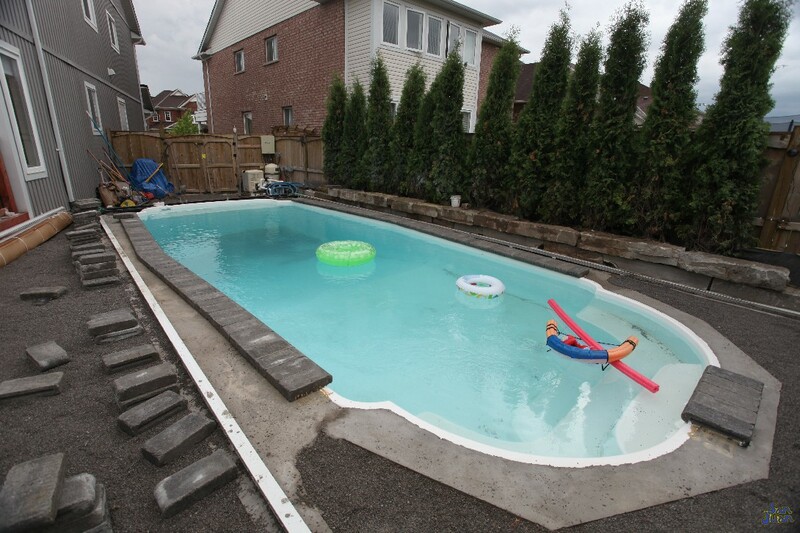 You’re sure to love the Savannah Deep and will enjoy this beautiful pool shape for many years to come!